You may have seen some of my instagram snaps all about the #When2BecomeWard Bridal shower/bachelorette bonanza from this past weekend but I thought I would share a little more about the actual spa day + what we did for my Sister's Bachelorette weekend! We had a blast together getting to know all the ladies who are involved with making my lil's sis' big day a spectacular one and a part of that was all about making people feel special. 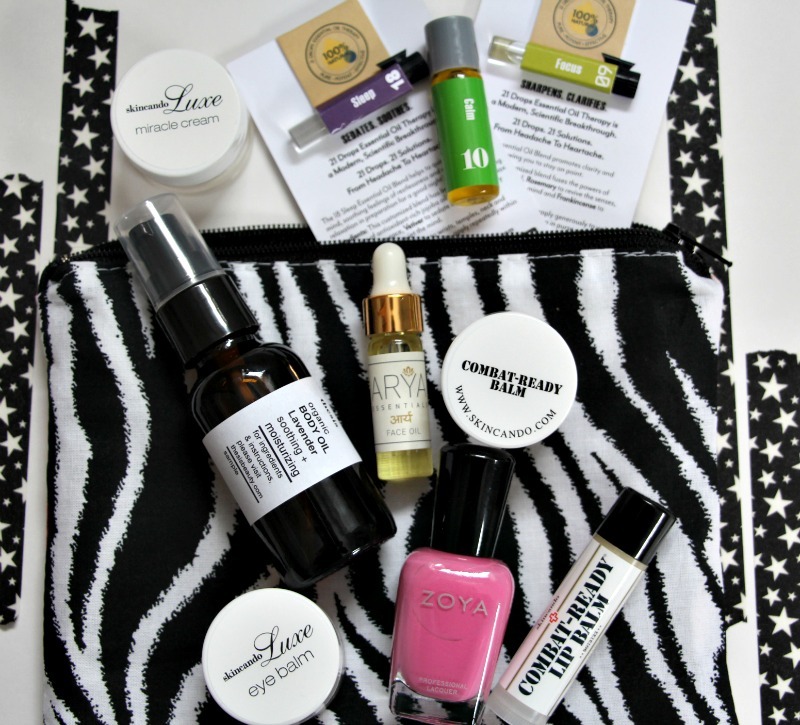 I spent some of the weeks leading up to the weekend making zip pouches and working with some natural beauty brands to put together some curated spa day gift bags, which were a COMPLETE HIT! 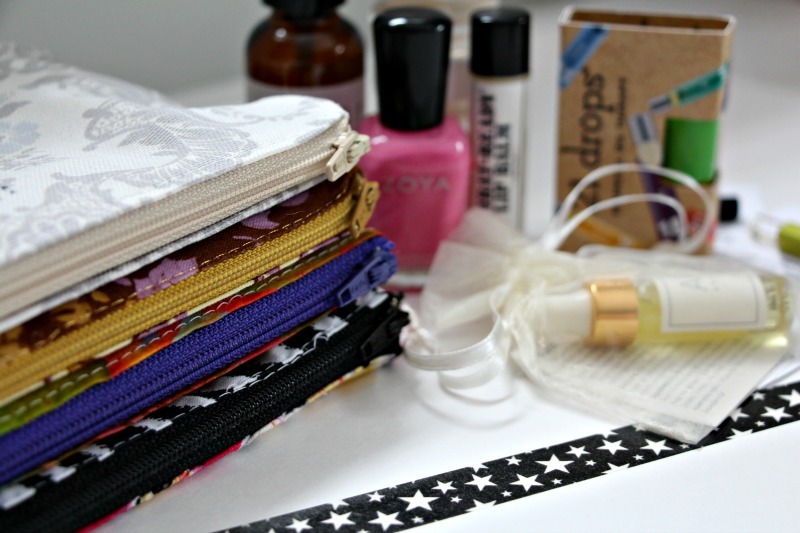 I used this quick tutorial from See Kate Sew to make the gift bags a little more personal... I then filled those little loves with some green beauty business so I could help educate my new friends about how great it really is! The curated items for the Spa Day gift bags are ones that I chose myself and are consistent with what I would use and do use in my every day life. 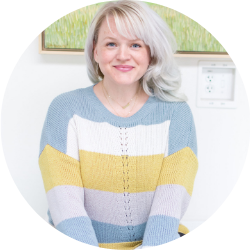 This was a great opportunity to introduce some ladies and even a yogi to some natural brands so that they now know that Natural and Green Beauty is very approachable + attainable with just a little bit of knowledge. Arya Essentials Face Oil: This brand was first introduced to me at the WELL Summit last November and boy, did I ever love this Face Oil. It is luxurious, smells like Heaven and really leaves your skin feeling soft, supple and deeply hydrated using all natural essential oils + herbs. You can see my full review here but suffice to say that this was one product that I wanted the girls to try. I know there is a stigma around oils being, well, oily but I want to change that viewpoint! My direction: Use after your shower on a damp face then follow with your moisturizer. 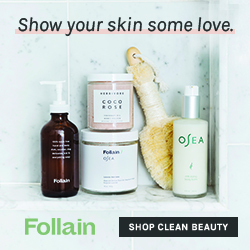 Skincando: I was at Follain in Boston at one point last year and received a sample of the Skincando Combat balm which was pretty much the best thing that ever happened to my cracked New England hands. We've found that it's great for chapped lips and minor burns too. After trying the Miracle Cream, I came to fully appreciate the efforts of the Skincando team to provide natural skincare products that won't break the bank. You can see my full review here: My direction: Apply combat-balm to any number of issues including dry, chapped skin and minor burns+skin irritations. Apply miracle cream and eye balm over your face oil, under your sunscreen. Thesis Beauty Lavender Body Oil: Thesis Beauty was one of my first "green beauty" loves. 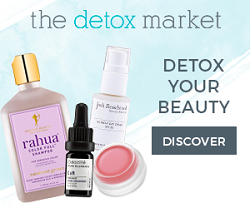 They were a gateway in some ways to my introduction to natural and conscientious beauty products. 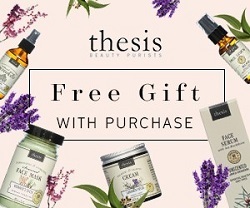 Thought I have tried many products since, Thesis still maintains it's spot in my beauty regimen because they're just that good! The Lavender body oil is a gorgeously scented and highly luxurious. My direction: Apply after a nice shower or a long bath to keep your skin moisturized while also treating yourself to a little self care. Zoya Nail Polish: Five Free, Vegan Friendly and one of the brands with the most variety of toxin free polishes, why wouldn't I recommend this to my ladies? Painting your nails while still being natural was never so fashionable. My direction: paint your nails and be sure to let them dry before trying to put your keys in the ignition or going to bed. 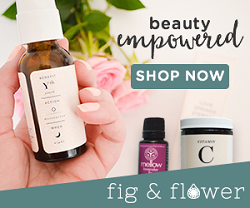 21 Drops Calm, Focus and Sleep Blends: I've been using the 21 Drops sleep blend for over 6 months now and I love it. Every single drop. I find it to be calming, soothing and really does a great job of assisting in the "getting to sleep" process. I wanted the girls to know that there are ways to help focus + calm ourselves while using essential oil blends. You can read my full thoughts on 21 Drops here. My direction: We used Focus before yoga, we used Calm after yoga and before our spa services and let them know that about 1/2 hour before bedtime, Sleep would be fantastic. I can't wait to hear their thoughts.